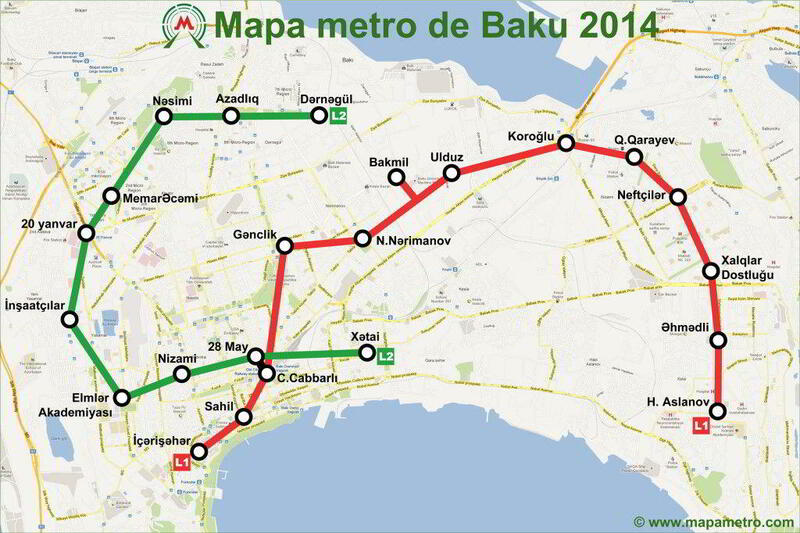 Baku Metro (known as “Baku Metro”), Azerbaijan is located en. The latest extension of this meter known, was made in the year 2011, currently 23 Tube stations along 34,6 Km (21,5 Miles), ie, each station there 1504,3 meters (1645,2 Yards). To see the map below Baku Metro largest, click on image. Official website of Baku Metro.